Classic Style that functions with ease. Simple and elegant the Classic Roman Shade lies flat when lowered and gently folds when raised. Soft shades can give a room texture, dimension, and function all at the same time. 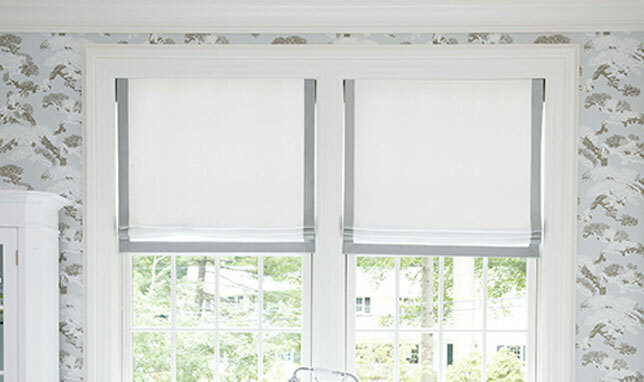 Our soft shades are constructed in workrooms right here in the U.S. As shades are made to measure, we will ensure the right fit and style for your needs.